The Sopwith Camel was a British World War I single-seat fighter biplane, famous for its maneuverability. Intended as a replacement for the Sopwith Pup, the Camel prototype first flew in December 1916, powered by a 110 hp Clerget 9Z. Known as the "Big Pup" early on in its development, the aircraft was armed with two .303 in (7.7 mm) Vickers machine guns mounted in the cowl, firing forward through the propeller disc. A fairing surrounding the gun installation created a hump that led to the name Camel. The bottom wing had dihedral but not the top, so that the gap between the wings was less at the tips than at the roots. Approximately 5,490 units were ultimately produced. Unlike the preceding Pup and Triplane, the Camel was not considered pleasant to fly. The Camel owed both its extreme maneuverability and its difficult handling characteristics to the grouping of the engine, pilot, guns, and fuel tank within the first seven feet of the aircraft, coupled with the strong gyroscopic effect of the rotary engine. The Camel soon gained an unfortunate reputation with student pilots. The Clerget engine was particularly sensitive to fuel mixture control, and incorrect settings often caused the engine to choke and cut out during takeoff. Many crashed due to mishandling on takeoff when a full fuel tank affected the center of gravity. In level flight, the Camel was markedly tail-heavy. Unlike the Triplane, the Camel lacked a variable incidence tailplane, so that the pilot had to apply constant forward pressure on the control stick to maintain a level attitude at low altitude. However the machine could also be rigged in such a way that at higher altitudes it could be flown "hands off." A stall immediately resulted in a spin and the Camel was particularly noted for its vicious spinning characteristics. The Camel was, however, a superlative fighter, and offered heavier armament and better performance than the Pup and Triplane. In the hands of an experienced pilot, its maneuverability was unmatched by any contemporary type. Its controls were light and sensitive. The Camel turned rather slowly to the left which resulted in a nose up attitude due to the torque of the rotary engine, but turned very sharply to the right which resulted in a nose down attitude. Many pilots preferred to turn left by turning 270 degrees to the right. Because it was tail heavy, the plane also looped quickly. Agility in combat made the Camel one of the best-remembered Allied aircraft of the First World War. It was said to offer a choice between a "wooden cross, red cross and Victoria Cross." Together with the S.E.5a, the Camel helped to wrest aerial superiority away from the German Albatros fighters. The Camel was credited with shooting down 1,294 enemy aircraft, more than any other Allied fighter. Major William Barker's Sopwith Camel (serial no. B6313, the aircraft in which the majority of his victories were scored) became the most successful fighter aircraft in the history of the RAF, shooting down 46 aircraft and balloons from September 1917 to September 1918 in 404 operational hours flying. It was dismantled in October 1918. Barker kept the clock as a memento, but was asked to return it the following day. By mid-1918 the Camel was becoming obsolescent as a fighter, limited by its slow speed and comparatively poor performance at altitudes over 12,000 ft (3,650 m). It found a new lease of life as a ground-attack and infantry support aircraft. During the German offensive of March 1918, flights of Camels harassed the advancing German Army, inflicting high losses (and suffering high losses in turn) through the dropping of 25lb (11 kg) Cooper bombs and ultra-low-level strafing. The protracted development of the Camel's replacement, the Sopwith Snipe, meant that the Camel remained in service until the Armistice. -With rotary engines, the crankshaft remained fixed while the cylinders and attached propeller rotated around it. The result of this torque was a significant "pull" to the right. In the hands of an experienced pilot, this characteristic could be exploited to give exceptional maneuverability in a dogfight. A 3/4 turn to the right could be done in the same time as a 1/4 turn to the left. -The Gnome "mono" engines did not have throttles and were at full "throttle" while the ignition was on - they could be "throttled" with a selector switch which cut the ignition to some of the cylinders to reduce power for landing. The Clerget, Le Rhone and BR1 had throttles, although reducing power involved simultaneously adjusting the mixture and was not straightforward, so it became common during landing to "blip" the engine (turn the ignition off and on) using a control column-mounted ignition switch, the blip switch, to reduce power. The main production version. Armed with twin synchronised Vickers guns. Pilot seat moved to rear. The twin Vickers guns were replaced with two Lewis guns firing forward over the top wing on Foster mountings. Served with Home Defence Squadrons against German air raids. The "Comic" nickname was of course unofficial, and was shared with the night fighter version of the Sopwith 1½ Strutter. There are only seven authentic Sopwith Camels left in the world. 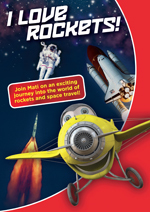 One is in the Aerospace Education Center in Little Rock, Arkansas, United States. One, restored to near-flying condition, is at the Brussels Air Museum Restoration Society (BAMRS) in Brussels, Belgium. A model F.1 (s/n B 7280) can be found at the Polish Aviation Museum. This Camel first flew in Royal Naval Air Service and then in the Royal Flying Corps. Two pilots who flew this aircraft shot down 11 German planes in total. 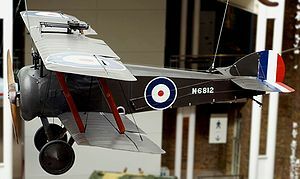 N6812, the Sopwith 2F1 Camel flown by Flight Sub Lieutenant Stuart Culley when he shot down Zeppelin L 53, is preserved at the Imperial War Museum in London. N8156 (RAF) is currently on display at the Canadian Aviation Museum. Manufactured in 1918 by Hooper and Company Ltd., Great Britain, it was purchased by the RCAF in 1924 and last flew in 1967. It is currently on static display. 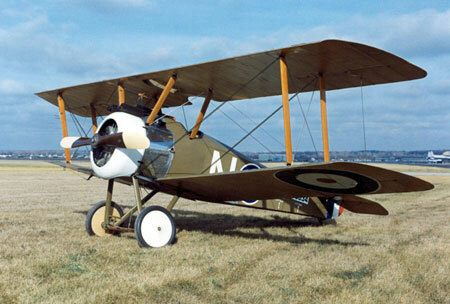 A replica Sopwith F.1 Camel is on display at the National Museum of the United States Air Force in Dayton, Ohio. This aircraft was built by Air Force Museum personnel from original WWI factory drawings and was completed in 1974. It is painted and marked as the Camel flown by Lt. George A. Vaughn Jr. while flying with the 17th Aero Squadron. A replica is currently under construction by the Northern Aeroplane Workshops for the Shuttleworth Collection, and another is under construction at the Great War Flying Museum. - In 1969 Slingsby built a flyable Type T.57 Sopwith Camel Replica powered by a 145hp Warner Scarab engine for use in a Biggles film. This aircraft is now on display at the Fleet Air Arm Museum, Yeovilton painted as B6401. - The single-seater scout plane flown by the Royal Flying Corps Squadron in the semi-autobiographical, First World War air combat book Winged Victory written by Victor Maslin Yeates. 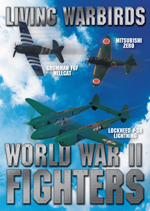 - The fighter flown by Biggles in the novels by W.E. Johns during the character's spell in 266 squadron during the First World War. He also wrote a book, The Camels Are Coming. - The type of aircraft flown in the First World War by John and Bayard Sartoris in William Faulkner's Flags in the Dust. Under fire from a pupil of Richthofen (the Red Baron), John's Camel caught fire over occupied France. Bayard's last sight of his twin brother was of John jumping out of his fighter feet first. Faulkner also wrote about the Camel (and Sartoris) in his famous story All the Dead Pilots. - Bartholomew Bandy flies a Camel in the first "Bandy Papers" book by Donald Jack, Three Cheers for Me. 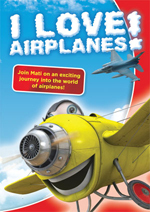 - subLOGIC Flight Simulator featured the Sopwith Camel in Flight Simulator II. (Before Flight Simulator was licensed to Microsoft). - A 2-D air-combat computer game called "Sopwith Camel" using CGA graphics was available for DOS. 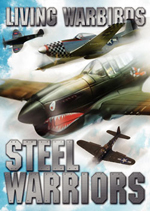 It featured bombing missions and dogfights against enemy planes, as well as a basic physics engine and bird-strike. - Microsoft Flight Simulator Series featured the Camel in versions FS3.0, FS4.0, FS5.0, FS5.1, FS95, FS98, FS2000, and FS2002.